Vacuum regularly, at least once a week. Brooms sweep dust into the air, spreading, rather than trapping particles which cause coughing and sneezing. Carpet and rugs capture dust particles, dust mites, pollen, and other allergens. As long as your vacuum has a fresh filter and is cleaned after use, the allergens from your carpet should be suctioned up by the vacuum. Floors are not the only thing that need vacuuming. Window curtains and blinds can be vacuumed using a hand-held vacuum hose. The hose will pick up particles blown into the house through windows. An even better option, if possible, is to machine wash window hangings, ensuring allergens are not caught between the threads. Furniture, like pillow coverings and couches, should be vacuumed or washed as well. As your kids, or even pets, run in and out of the house, they are bringing pollen and spring allergens in through their clothes and hair. It is far too quick for allergens to attach to your kid’s clothing outside and rub off on the couch moments later. Be wary of air drying laundry outside, or near open windows. Allergies can flare up within minutes of dressing if allergens attach to your newly cleaned laundry. Just as you will want your clothes to be fresh, so too will you want your bedding to be fresh. Bedding should be washed weekly in order to prevent build-up of allergens on pillows, sheets, and mattress covers. Do not overlook your cleaning products themselves. Microfiber, washable cloths and mop heads collect more dust, leaving behind less residue than throw-away paper towels and old wash rags. These materials, when damp, trap allergens instead of sending them through the air like brooms and dusters do. Moisture attracts mold and mildew, adding to allergens in the air. After cleaning the bathroom mold spores may be floating through the air if it is moist and your cleaning solutions were not powerful enough to reduce mold growth. Shampooing carpets has a similar effect, as the damp carpet is another area which attracts mold and mildew below the surface. To counter the effects of dampness and humidity, try an air purifier, a dehumidifier, or air conditioning to help regulate the air flow within your home. Allergens will, without a doubt, creep into your home. 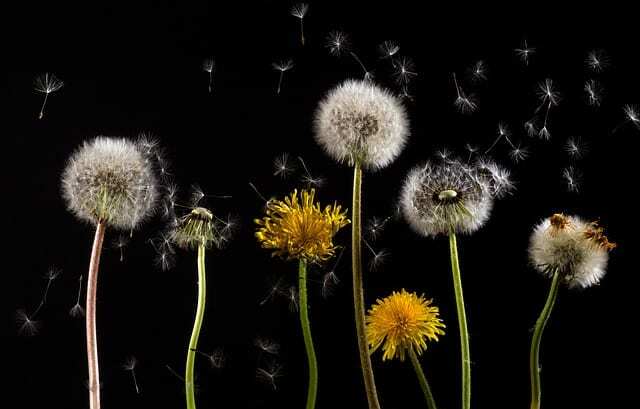 Although it is unavoidable, there are precautions you can take to help stay health this allergy season. Keep the entryways clean, leave the shoes by the door, and keep up with the cleaning!